"As a whole, I think, not only WTO reforms are needed, but also in all the UN System," says Dr. Harilla Goga. The European Union’s expectations for the political and economic development of the Western Balkans are high. The region, however, remains in a rather fragile situation in which other powerful interests are clashing with those of the EU. The result is that the level of development is not the same in the Balkans. Discussing such matters with a diplomat is always tempting. But it may be even more interesting if you ask an Albanian diplomat. Dr Harilla Goga is an Albanian career diplomat with more than 30 years of experience. He has overseen various assignments and positions at the Albanian ministries of European and foreign affairs. He has also been posted at Albanian embassies and permanent missions around the world, in places like Brussels, Copenhagen and Geneva. Dr Goga has also been and remains very active in conducting research, studies and analyses about the multilateral relations and diplomacy at the regional and international level. His latest book, “Diplomacy and Promoting Democracy”, is the raison d’être for our interview. We discussed the status of Western culture, which according to him, is strictly connected with the democratic system and that “the most interesting stage of this system is the liberal democracy”. We also touched upon the necessity of some reforms by the Multilateral System, and in particular by the World Trade Organization. And, of course, we spoke about Albania. European Interest: Your Excellency, in your book you write that Western culture is strictly connected with the democratic system and that “the most interesting stage of this system is the liberal democracy”. In the last decade, however, we have witnessed in Europe the rise of tendencies that threaten such a system on various levels, such as labour rights, freedom of movement, academic freedom or a direct attack against the media, to mention just some of the problems our continent faces. What do you think are the reasons for this? Dr. Harilla Goga: Firstly, my new book “Diplomacy and Promoting Democracy” that we are talking about and on which your questions are raised, is built by individual and non-governmental thoughts and ideas on the multilateral relations and diplomacy between states. And now, coming up to your question: it obviously worries us seeing these situations if we have as reference the development of western democracy after the Second World War and our idealist expectations. Explaining this current situation disassociated from a larger point of view of modern Democracy’s history might be wrong. The primary view might be the incontestable fact that during the last century, Western Democracy has been hardly interrupted by two World Wars, but proudly it has continued its path straight ahead being spread out overwhelmingly the World. This is because the Western culture is maybe the only one in this World that naturally accepts changes, improvements, new tendencies and other cultures even make excuse for its faults and wrong elements, etc. In this perception, those current threats should be temporarily. Secondly, the tendencies that you mentioned, such a human rights violation or rising of some traits of “the Authoritarian Democracy instead of the Authority of Democracy”, basically are the consequences of a non-effective Western Democratic System. The latter is not in question as system. In question are the widely missing theories and ideas based on which the System must be further reformed and why not, transformed. Nothing is done forever. You refer to the authoritarian regimes and to anti-EU governments in some EU member states. Since in many countries there is a net threat to the rule of law including attempts to violate human rights, what do you think should be the role of diplomacy of the countries that respect fully the rules of democracy? Are sanctions, for example, a solution? There might be two main positions or attitudes even policies vis-à- vis those “breaches of democratic laws and values”. First, imposing those rules to the country in question might not be a solution. As for the sanctions, they could be worse because they could be counterproductive as we see the deteriorated situation on the ground in some EU members’ states. Again, responding to this particular situation, we must refer to my first answer: we need new ideas and theories, then, adequate platforms/programs to deal with those issues through political establishments and EU’s level. And, what’s more: uniformity being required by EU level cannot be build ignoring differences which are realities due to the fact that different countries have inherited and actually enjoyed different level in terms of economic, social and political developments. The “gold average” might be to co-exist with those differences and find out the right solutions rather than to ignore them “by sanctions”. You also talk about regionalism and you refer, as an example, to the Balkan region. You mention the activity of many factors, like the role of EU and Nato, Russia and Turkey. Could you please explain, as a diplomat, the actual situation in the Western Balkans? You write about future classes in the Balkan region. What do you expect will happen in the coming years in the region? As mentioned above, the Balkans countries have a common history – for better or for worse. But, they have also their differences (not too much, and except Greece which is much more advanced) in terms of their economic and social levels of development which, however, are not a big obstacle in their process of integration between themselves and the entire region in EU. Depending on the consolidation and progress of their democracy, the minority issues – which are the most sensitive ones, could be seen as solved. When I said: “depending on the consolidation and progress of their democracy”, I would precise in terms of “westernising their mentality” which is not easy… This will take decades and decades. At the same time, we have to consider that “Western present in Balkans can change and improve what is potentially ready to be changed, and should not spend energy, money, and time into empty places and activities. After the end of the communist regime in Albania, your country boosted its relations with neighbouring Greece and Italy, mainly with the immigration of hundreds of thousands of Albanians. To what extent have the Greek and the Italian economic crises impacted Albania’s economy? Since Albania aspires to become a member of the EU, are the lessons from the above crisis understood by Albanian society? In your question there are several issues to talk about: migration and its impacts, meaning that hundreds of thousands of Albanians that left their home to settle mainly in Greece and in Italy actually constitute a natural bridge that connects more intensively our relations with those neighbour and friendly countries. From the sociological view, the displacement of humans is in their genes, from which the World society is built, affected and so interconnected. The culture and tradition exchanges are to be the main consequence which naturally brings co-existence between people. If the political establishment in our countries sees these phenomena through this approach, more sustainable developments are to be expected in the future. As for economic terms impacts, these resulted positively in both sides: After the collapse of communism in Albania, Greek and Italian economies have been in need of migrants. From Albanian side, we were in need to survive. So, this migration has also its humanitarian background. This phenomenon, which started about 25 years ago, met Greece and Italy with a beginning of developed economies. Their crisis came later mainly that of Greece which was to some extent more dramatic, but it came out with success thanks to its governmental successful reforms backed by EU mechanism. What lessons for Albania? 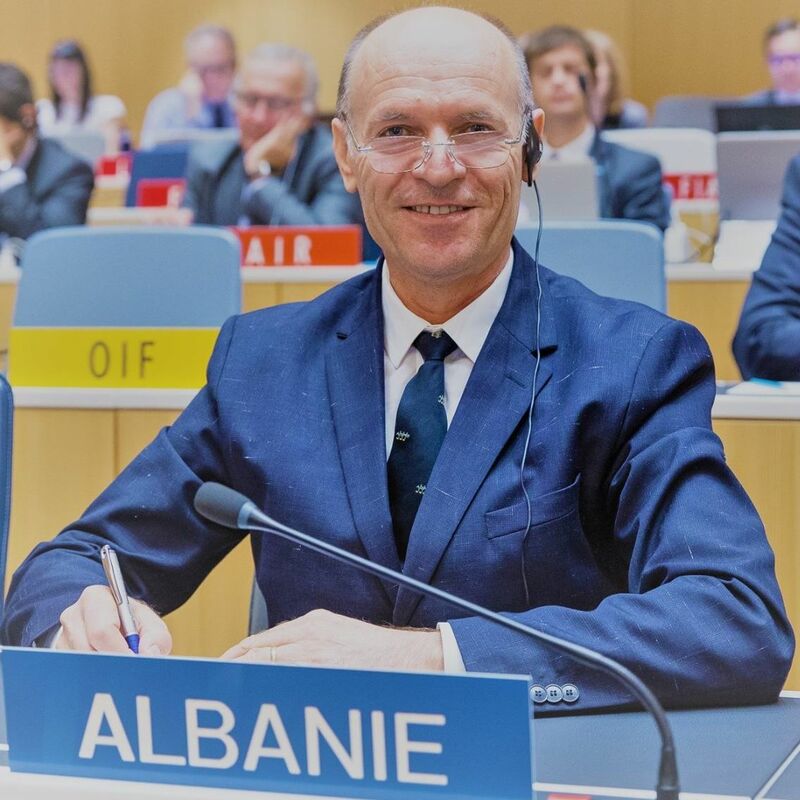 First, in our inter-connected economic, trade, financial and banking network established among our countries naturally, Albania has been impacted by that crisis. But, I think lessons should be taken by EU itself vis-à-via Albania (or Western Balkans countries as a whole) in terms of being realistic, considering and accepting Balkans society as it is, and trying to change what can be changed without forcing anything. Overstraining can bring negative results in long terms. In your book, you talk about the necessity of some reforms by the Multilateral System, and in particular by the World Trade Organization. What are the reasons that make the reforms necessary? What do you suggest specifically? This is my preferred subject that I like to talk about. Thank you for this question. Multilateralism is not a new phenomenon, and it is not invented by politicians. As famous scholars say it is born once the interconnectivity stated to be “the life style” in our World society, and nobody can stop it. Setting up the International institutions like UN, WTO and others are to be called merely as response of political establishment to the reality which moves ahead without stopping. Reforms are not to be needed only now. The System has already been in need among decades, mainly after the Second World War, so that it is “in a hunger” to be transformed anytime, anywhere. Why? Simply due to the fact that reality changes or, to some areas, the System tries to change it in order to be adapted to the new realities. If the System stays “stoic” the crisis comes. As a whole, I think, not only WTO reforms are needed, but also in all the UN System. How, what and to which issues, this is in the hands of scholars and scientists firstly, and secondly in the hands of politicians. The latter are decisions-makers to implement them by the condition to be inspired and not looking strictly after their own national interests but rather common ones. The future of our Wold can be build up only in the basis of common interests whose spectres must be larger and larger in disfavours of national ones. If these perspectives go well, the world would be developed in a safe sustainable way, letting us in peaceful exchanges.